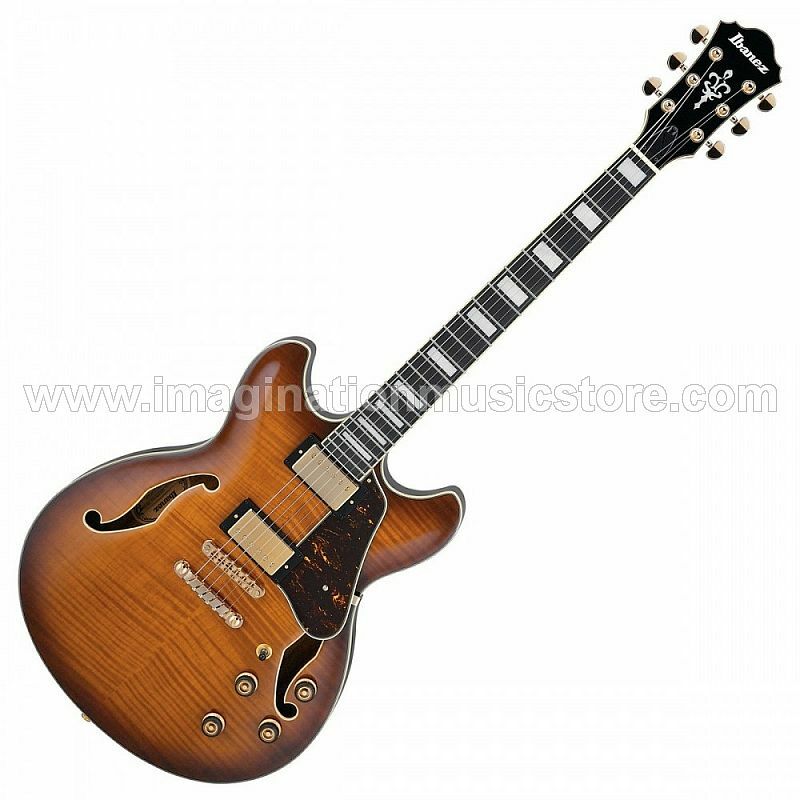 The left-handed Ibanez AS93 Artcore Expressionist semi-hollowbody electric guitar gives you a fat and detailed tone, making it an excellent choice for just about any musical genre. A pair of Super 58 Custom humbucking pickups provide you with growling lows and focused highs. A slim neck with a bound ebony fingerboard makes the AS93 a pleasure to play. For vibrant hollowbody tone and impressive playability, Sweetwater recommends the Ibanez AS93 Artcore Expressionist semi-hollowbody electric guitar. Early hollowbody and semi-hollowbody electric guitars had a wonderfully expressive tone that came with serious hum issues. That's why Ibanez and other guitar makers quickly developed special humbuckers, such as the Super 58 pickups. These special humbuckers preserve your AS93 semi-hollowbody guitar's bite, but ditch the 60Hz hum and other noise. What's more, Super 58 humbuckers give the AS93 a unique sonic character that you're sure to have fun with. The neck of any guitar has a lot to do with how well it plays. That's why Ibanez selected one of their smoothest and most comfortable necks for the Artcore AS93 semi-hollowbody guitar. Not only will your hand love the slim carve of this 3-piece mahogany/maple Expressionist neck, but your fingers will also appreciate the beautifully bound ebony fingerboard.